With more and more people moving to Austin each day, it’s becoming harder for young families (who many times are first-time homebuyers) to buy in the most desirable areas of town. Traditionally, neighborhoods like Westlake take the cake for their exemplary school districts and community amenities, but the price point for most of these homes are now very high. Never fear, Younger Generation, there are still plenty of great neighborhoods that offer ample amenities, great school districts, and affordable price points. We assembled our list by starting off with some of the best school districts, then narrowing the list by taking into account factors like amenities, crime rate, and affordability. Lastly, we asked the experts – our agents – which communities they would recommend, and the results are as follows (listed in ascending order). 5. Avery Ranch (North Central): This neighborhood was built around an 18-hole championship golf course and is located outside of the city on the north-central side near Cedar Park and Round Rock. Community perks include five rec centers, community pools and tennis courts, a family-friendly internal trail system that links neighborhoods to each other (to avoid crossing busy roadways), and even it’s very own (small) lake! Homes in Avery Ranch are spacious single family homes, recently built and in various styles. The price point here is a bit higher than the others on the list averaging at around 450k, although homes can be found starting in the mid 200’s. Avery Ranch students attend either Round Rock ISD or Leander ISD. Both are excellent school districts which have been recognized for their outstanding teachers, strong athletic programs, and ample extracurricular activity offerings. Round Rock ISD, however, is one of the highest rated in Austin. Residents of Avery Ranch tend to be young, married professionals with children, and a median household income of around $100k. Given the tight-knit community fostered in the neighborhood, there is a very low crime rate as well! 4. Olympic Heights (South): Olympic Heights is located south of Slaughter Lane between Brodie and Manchaca. This is about as far south as it gets in Austin, but don’t let that deter you. The neighborhood is still very close to fine dining, shopping, recreation, and entertainment. The area is sought after for its sturdy, brick-faced homes, native landscaping, and amenities like a community swim center, 5-acre dog park, walking trails, and pond. There are several parks nearby such as Bauerle Ranch, Mary Moore Searight Metro Park, The Veloway Trail, and the Lady Bird Johnson Wildflower Center. Proximity to IH-35 and Mo-Pac make commuting downtown manageable as well. Children in the area attend AISD schools (Akins High School) which is a Recognized campus. Olympic Height’s lamp-lit streets are some of the safest in the city, with a very low crime rate and most homes sell for around $250k. Your neighbors in Olympic Heights will likely be educated, married couples or young single professionals, and the median household income is around $100,000. The home’s awesome price-points mean that homes in Olympic Heights sell quickly. Be sure to act quickly if you find your dream home here. 3. Walnut Creek (North): The Walnut Creek area is a more mature collection of neighborhoods, with large homes and tree-lined streets. There are plenty of nearby shopping and dining options such as the Tech Ridge Center and the tons of restaurants in the Parmer area. Residents can also enjoy the 283-acre Walnut Creek Metropolitan Park, which houses miles of walking and biking trails, a large pool, play area, sports field and picnic areas. There is also the Walnut Creek greenbelt nearby, which includes the Copperfield Nature Trail on Yager Lane. Schools in Walnut Creek feed into Austin ISD, with the main High School being Lanier High. Demographics in this neighborhood show a median age of 30, many without children (young professionals), and many young families. They are known for their neighborhood association and the strong sense of community that is fostered through it. The affordable nature of Walnut Creek makes it perfect for first-time homebuyers, who are planning to expand their families in the future. However, the growing popularity of the area may mean that home prices will begin to rise soon. The average listing price is already around $300k, but houses can still be found as low as $250k. 2. Crystal Falls (Leander): Leander, located northwest of Austin, is one of the fastest growing communities in the greater Austin area. Once upon a time, living that far north meant being far from many conveniences, but this is no longer the case. There are many restaurants, entertainment options, and shopping spaces planned for the near future (and the Lakeline Mall area already nearby). Not to mention, Leander has an excellent school district, which is one of the fastest growing in Texas. Leander ISD strives to be encouraging, supportive, and challenging so that every student can achieve the highest levels of knowledge, skills, and character. Extra-curriculars include a college preparedness program that works in close collaboration with the Austin Community College in Leander. Homes in Crystal Falls are generally new construction and range in price from the $200’s to upwards of $500k. Depending on the level of customization and size of the home or lot, this can be an extremely affordable option for first time home buyers. Crystal Fall’s demographics point to a significant number of residents being young families, or growing families. Amenities that the kids will love include a community pool, many nature trails and playscapes, as well as the natural beauty of the hill country to play in. 1. Milwood (North): The best neighborhood for young families, as evidenced by the overwhelming response from our agents, is Milwood. Located in North Austin between Highway 183 and Mopac, Milwood not only feeds into the best schools and is in close proximity to countless activities, but has tons of amenities to boot. The neighborhood’s affordability makes this ideal for first-time homebuyers and young families. With a median home price of around $265k, the majority of the neighborhoods homes are large, mature residences, many of which have been remodeled. This is also one of the neighborhoods that is closest to Downtown on our list, with easy access to either 183 or Mopac for a relatively painless commute to either downtown. There are also numerous employers actually in the area! Milwood is situated next to a number of parks as well, including Yett Creek Park, Balcones Park, and Walnut Park. 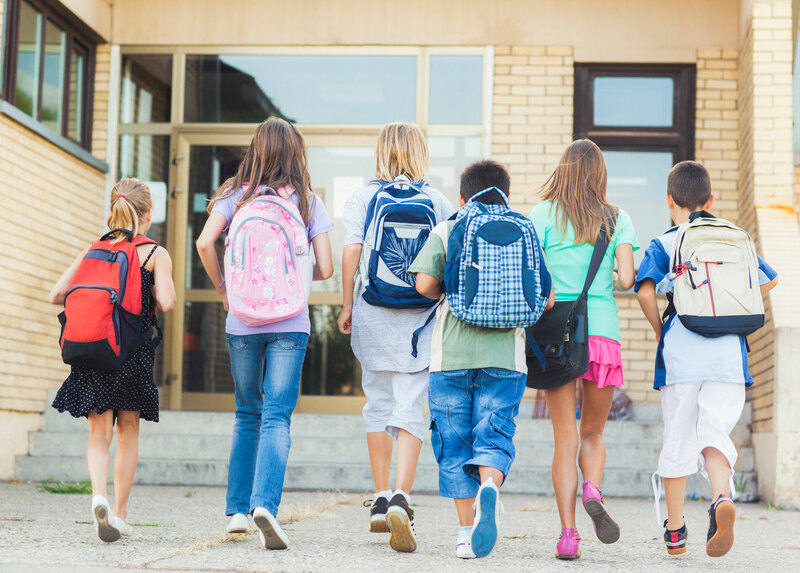 Depending on the area, students in Milwood attend these Austin ISD Schools: Summit Elementary, Murchison Middle School, and Anderson High School, or these Round Rock ISD schools: Jollyville Elementary, Deer Park Middle School, and McNeil High School. All of which are great schools, but especially Round Rock ISD, as mentioned before.